There are many home hair removal systems which can be found at Amazon and other online retailers. Most of them have different names but are actually all the same. Only one system is totally new! The MeMyElos has different hair removal technology than any other system you will find. In this review you can read more about the MeMyElos. We have gathered information from numerous sources including www.memyelos.com which is the home site for the new Syneron hair removal device. We have held the system, took it for a short test drive you can see some of the MeMyElos device and accessories pictures below. Syneron is a leading corporation manufacturing the most advanced systems, the chairman of Syneron is Dr Shimon Eckhouse which most people don’t know, is the inventor of the IPL technology! While all other IPL systems are using his invention, Dr. Echouse has moved on searching for a better technology. He has invented the patented ELOS technology to be much more effective with more added benefits. For years, the ELOS (Electro-Optical-Synergy) was used by leading Med-Spa and dermatologist offices around the world with millions of hair removal treatments successfully made. 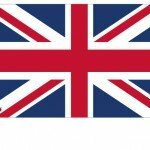 At 2011 Syneron market research have found the home hair removal is ‘coming back home’. More people are looking for home solutions which are cheaper and more convenient. The Me-my-Elos hair removal system is a domestic evolution for the large Syneron professional hair removal systems, which are used by the laser hair removal centers. Syneron took the same technology and placed it in the MeMyElos a compact small home device. The main advantage of the ‘Me’ is the technology it is using. The memyelos is one of the best hair removal systems you can purchase, because it has the professional technology in a home unit device. ELOS = ELectro Optical Synergy. Optical is the regular IPL all the other systems use. 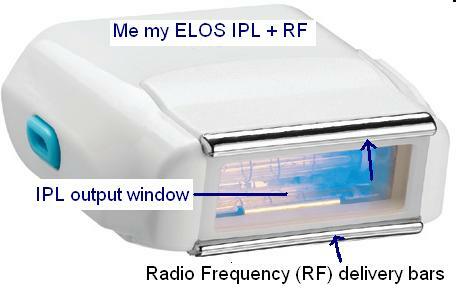 ELectro is the added RF (radio frequency waves) which add heat without any light energy. It is the Synergy between the light and the RF which makes the MeMyElos non-comparable to other systems. The MeMyElos IPL + RF. The IPL is used to heat the melanin inside the hair, it has an energy level of 6 Joules per cm² (All other systems have 5 Joules per cm²). 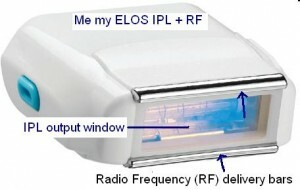 Once the IPL has flashed constant RF waves are sent into the skin from two Bi-Polar rails at the side of the IPL window (see pic). The RF (radio frequency) waves are attracted by the hair follicle temperature change, and the radio waves heat the hairs even more. The RF adds 3 Joules per cm² more to the hair removal procedure! This gives the MeMyElos up to 9 Joules per cm²! Which is 30% more than any other IPL system, no matter how fancy it is! The added RF energy, is not an optical energy (light), so there is no threat to the skin tissue, and no side effects which are common to hair removal systems. Except from the unique technology which can deliver results like on other hair removal machine, it is obvious the www.memyelos.com was designed to be superior for home use. Speed – The main drawback of the laser hair removal, is the slow and exhausting procedure at home. With sessions going from 40 minutes to 1.5 hours for legs hair removal. 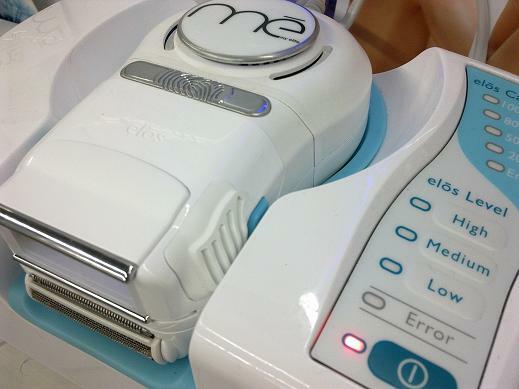 The Me my Elos hair removal system has a fast repetition rate, with continuous IPL+RF flashes. When the competitors offer 1 flash every 3-4 seconds, the MeMyElos has 2 flashes per second! When competitors offer 2 legs in 40 minutes, the Me offers a full body in 30 minutes! No Preparations – The issue which makes home hair removal such a hassle, is the need to pre-shave the skin before each treatment. The designers of the MeMyElos have thought of a genius idea, to combine the shaver into the Me Elos system. 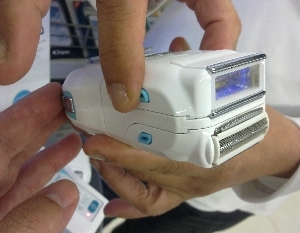 The Me-Shaver (sold separately) can be attached to the Me device and shave the skin during the ELOS session! So no preparation and prior planning is needed. 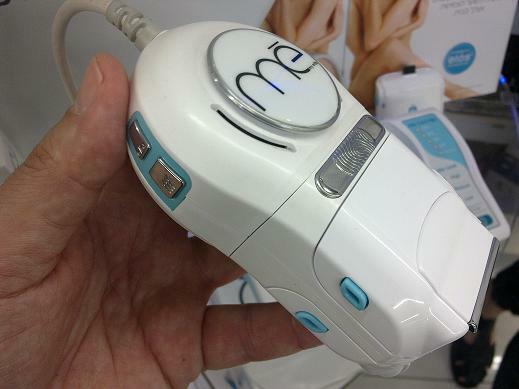 There is a Me-Epilator (sold separately) which can epilate the skin for short term smoothness. 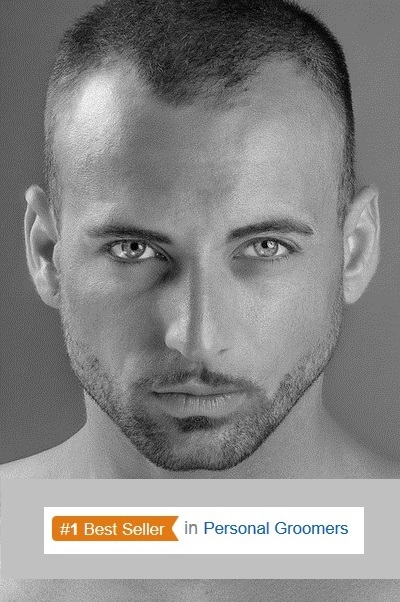 Facial Hair Removal – Until the MeMyElos.com was released, no home system was truly permitted to preform facial hair removal. Some manufacturers forbids any use of their device on the face, others say it is not recommended for facial use. So customers who bought other systems still had to look for alternative solutions for ‘peach fuzz’ hair removal and spend money at hair clinics. 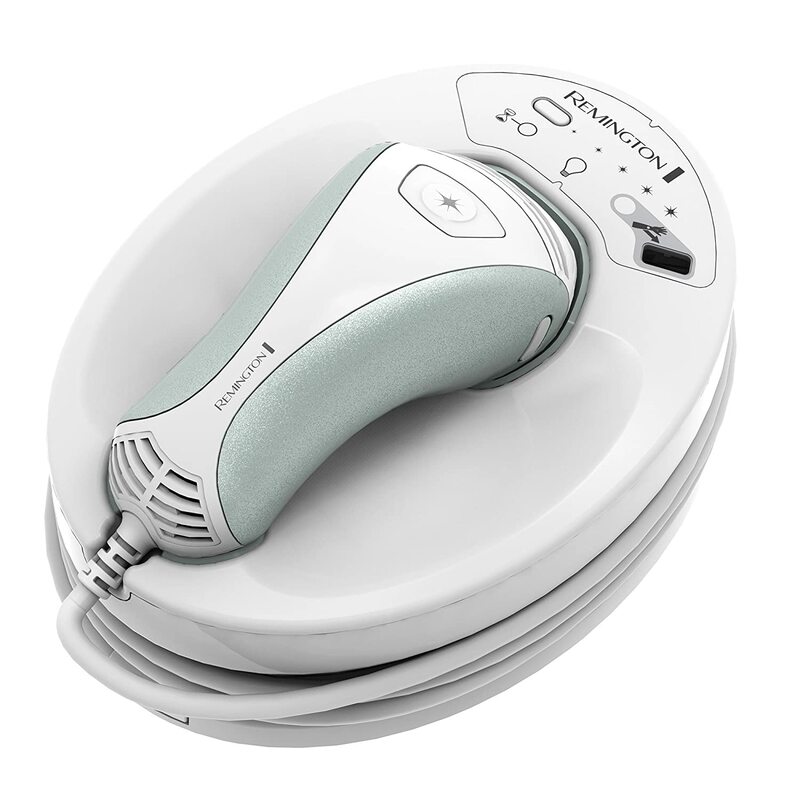 The MeMyElos has launched a facial hair removal kit, which has full instructions and the safety accessories needed for a safe facial hair removal. The MeMyElos has two main advantages over the rest of the systems. It has a unique technology with added energy (9 Joules!). The second thing is that the MeMyElos has been designed for comfortable home use! In many cases users fail to follow the hair removal schedule plan because of all the hassle and time consuming required. Purchasing the MeMyElos may cost nearly double than any other premium device, but for those who can afford it it is worth the investment. This entry was posted in Me my Elos Hair Removal and tagged HoMedics Me my Elos, me my Elos hair removal, Me My Elos Syneron, memyelos, Syneron IPL+RF System Reviewed, www.memyelos.com by . Bookmark the permalink.